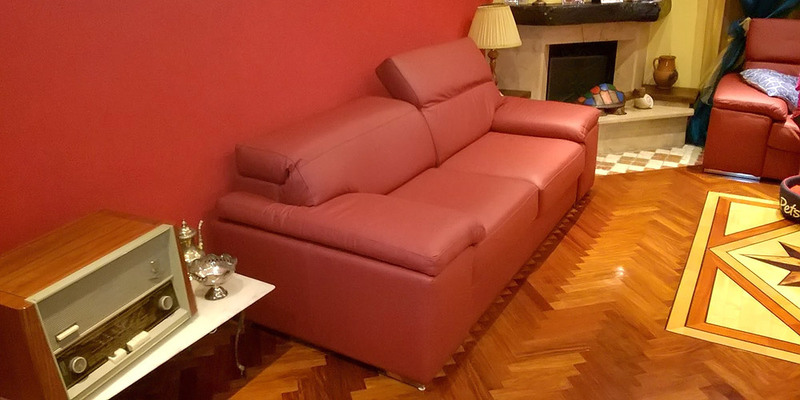 Excellent Italian leather sofa with original design and stainless steel ornament around the arms, included in price. Knight has 2 comfortable foldable backrests and smooth arm cushions, filled with synthetic cotton. Seat cushions are made in custom comfort: hard seat / medium seat / soft seat. Feet are in stainless steel too. 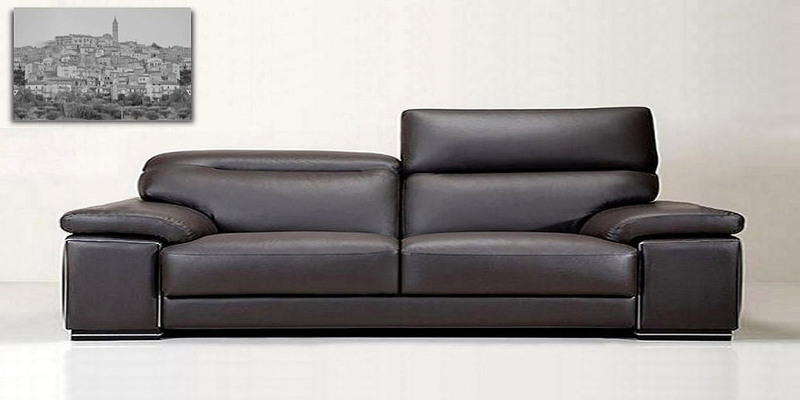 You will like this Italian leather sofa for his special design and particular charme. 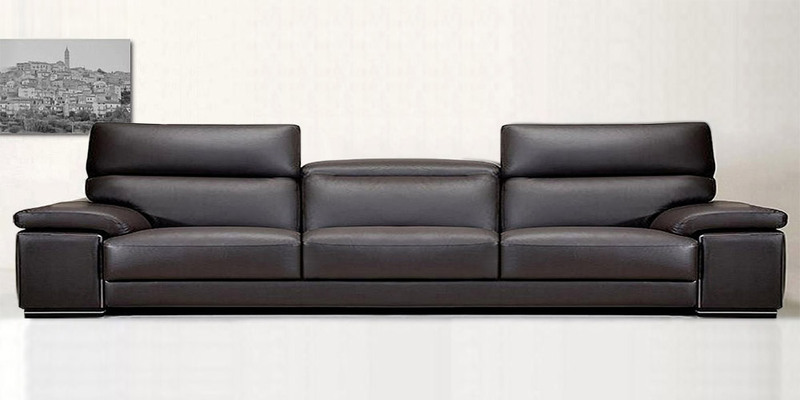 Knight is available also without stainless steel ornament: price -£160 for all sofas.